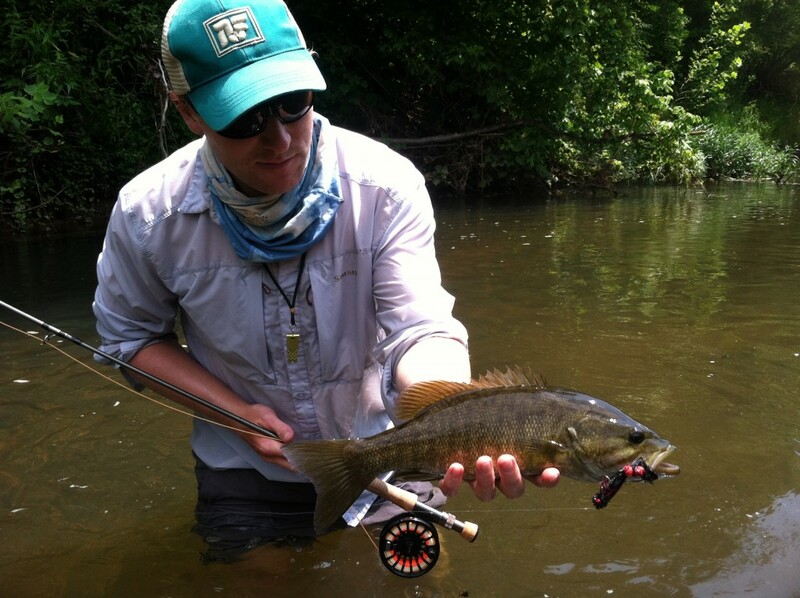 Photo Courtesy of Scott Osborne, fly fishing guide at the Albemarle Angler. 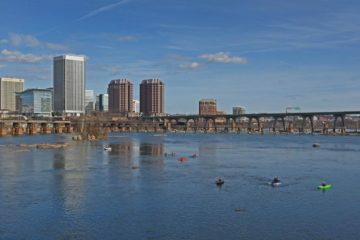 Those were the words trumpeted from the window of the BMW parked on the bank as we urgently paddled our canoes down the James River. Thanks for the tip, buddy. The storm had crept up from behind us as we lazily floated along, casting at the bank and generally enjoying the pleasant weather and hot sun on our backs. But one quick look to our rear and we realized we could be in for a spot of trouble. The thunderheads were looming large and heading right down river with us, so we got on the paddles and tried to outrun it. This turned out to be a mistake, but one with no real alternative. It was also the first in a comedy of errors and misjudgments that often occur during trips of this nature: sometimes for the better, sometimes for the worse. Our party of three intrepid river runners had set out for an overnight canoe-fishing trip on the upper James River earlier in the afternoon. 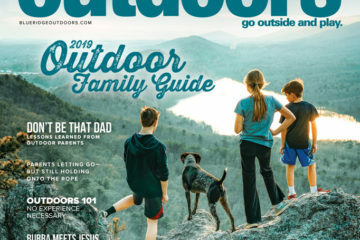 To go along with its stunningly good looks and historical significance, the James is also one of the best smallmouth bass fisheries in the Southeast. The plan called for a float of about four miles the first day and a 12-mile float the next day. We would camp along the river, fly fishing for smallmouth bass and sunfish, catching our dinner along the way. That was the plan at least, and we even managed to follow it for about two whole hours before all hell broke loose. But, oh, what a glorious two hours that was. Following a supremely satisfying, no-incident shuttle and put in, I put a bend in the rod on my first real cast of the day, pulling in a nice 14-inch bronzeback. I followed that quickly with another stout smallie of similar size and a couple sunfish in quick order. We were not even 300 yards from the boat ramp and already the fishing was hot. Thoughts of “trip of a lifetime” and amazing camp fish tacos floated through my head as we continued downriver to some of the best river structure I had ever seen. Sunken logs, rocky riffles, undercut banks – the juiciest of prime smallmouth bass habitat – and we were fishing hard, tagging the honey holes with blue, white, and green poppers. 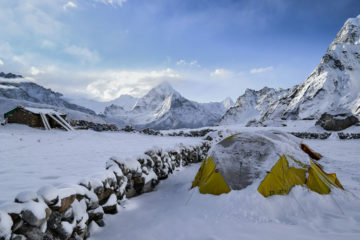 But just as fast as the fishing had gotten hot, it got cold – very cold. But we remained undeterred. Those were the breaks: if it was that easy it would be called “catching,” not “fishing” right? Still, you can put your fly right in the sweet spot and not get a take only so many times before the frustration creeps into your psyche. It happens to all anglers, but especially smallmouth bass fly fishermen due to all the places the fish can hide from you on a big river. It could have been this mild frustration that caused us to miss the signs of impending doom in the form of a classic late summer Virginia thunderstorm breathing down our necks. At this point it seemed like that movie cliché when the hero (us) thinks he is scaring all the bad guys (the fish), only to realize too late that there is something bigger and more sinister behind him (storm) scaring all the bad guys. It was around this time that the BMW weatherman felt the need to chime in. Once dark clouds entered our peripheral vision, we knew it was time to find some cover and wait it out. And wait it out. And wait it out. Under the trees, one of us pulled out a rain jacket while the other two gave each other that “Wish I brought a rain jacket” look as the bone-jarring thunder nearly shook us off the bank. We watched our canoes fill up with rainwater and passed the time by shivering and discussing the typical fishing-trip subjects: what GORP actually stands for (inconclusive), schemes for getting rich (conclusively bad), and when the rain was going to stop (exactly one hour from now it turned out). By the time the rain let up and the thunder wore itself out, there was little daylight left to dry our bodies or find a campsite so we were back on the paddles in short order. No time for casting as we compared the actual river to our soggy map of the river looking for suitable places to pitch our tents. We decided the spot with the burned baby doll hanging from a noose was probably not the best choice, but we eventually found a semi-good rocky beach that would do in a pinch, and, by God, we were in a pinch. As I pulled my bedding out of my not-as-dry-as-I-thought bag, I realized I was in for a long, damp night. With no fish to sacrifice to the camping gods, we were forced to fall back on Protein Plan B for our burritos: ranchero beans. This would have dire consequences on our olfactory systems, especially when we gathered around our quickly deteriorating map to figure out where we were and how long we had to go tomorrow. After much debate and civilized discourse we came to the conclusion that, yes, we were still on the James River. Turns out we had blown past our intended stopping point by about five or six miles. Putting this behind us, we soon settled into watching the moon dance with the wispy clouds and listening to the water play its tune across the river valley. It was very sublime and reminded us why we took this trip in the first place. Sure, we hadn’t caught many fish, our camp was not ideal, and our gear was a little soggy, but our bellies were full and we were embracing our natural surroundings in the purest form. We were on the side of a beautiful river, contemplating life and celebrating friendship. It was very peaceful and comforting, until the first train came screeching through our campsite. Well, not exactly through, but close enough to feel the wind coming off the tracks that, in our haste to settle down for the night, we had failed to notice. The next morning, over eggs and cowboy coffee you had to chew instead of drink, we all recounted bolting upright from one of 15 30-minute naps to make sure we had not accidentally set up camp directly on the tracks of this 1,000-decibel train. Given the events of the trip, it was a relief to awake to our canoes still firmly planted on the bank. If they had floated away during the night, I would not have been all that surprised. One look at the water though and we knew that the hopes and dreams of catching fish – any fish, one fish – were dashed. An already swollen river had been blown out by the same storm that sent us scurrying for the riverbank the previous day, rendering my entire supply of poppers obsolete – and by entire box of poppers, I mean my entire fly supply as I had brought nothing but poppers. Smart move. So, it turns out that having no idea how far down river we were was a blessing in disguise as we were that much closer to the takeout, the end of this train wreck of a fishing trip. We stashed the rods and paddled for Glasgow, only stopping once to check out a rope swing and salvage the trip with some classic river fun. Alas, the swing must have been hung by the same guy as the doll because the physics were off, and each attempt ended with impact on the downswing, which is not the way it’s supposed to work. That was the last straw. Except that it wasn’t. At Glasgow, we missed the takeout and had to portage the Maury rapids, dragging our canoes up twin waterfalls to the boat ramp, nearly flipping them in the process. And so concluded the worst fishing trip I’ve ever been on. 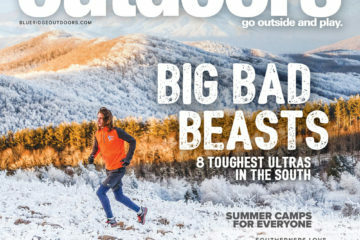 Sure, I’ve been on trips where I got wet and cold, didn’t catch any fish, had nightmares, and been heckled from the river bank, but usually not all at once. But here’s the thing: we were still on a fishing adventure. We were still out there on our own, making decisions. Yes, they were not life and death, and they turned out to be bad ones, but there is a certain sense of self worth and accomplishment when you get yourself back to the car in one soggy depressed piece. If everything had gone right, there would be no story to tell, no hook, no lasting memory. Now, I’ll have a tale I’m sure will grow over time to include lightning strikes, raging rapids, us cracking the GORP code, and many, many fish because if we are honest with ourselves, reality is just the starting point for a good fish story. Smallmouth bass are a great gamefish due to their hard fight, large size, year-round availability, and aggressive topwater takes. Here in the Southeast, the bronzeback is the top warm water species to target and are prevalent in most rivers and streams. 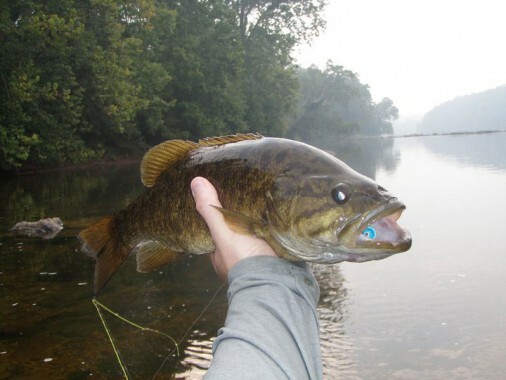 Despite their assets, the smallmouth is often overlooked as a gamefish on the fly as most serious bass fishermen head for lakes and most serious river anglers head for trout streams. Fishing big rivers for smallies is the best of both, so here’s what you’ll need. Rod: 8-9 foot, 6-8 wt depending on the line you are using: bigger rod (8 wt) for sinking line, lighter rod (6-7 wt) for floating with 7-9 foot 2-3x leaders. Flies: For summer topwater action poppers, divers, gugglers, and sneaky pete patterns in a variety of colors are best. Crayfish, clousers, helgramite, wooly buggers, sculpin, and baitfish patterns are prime for early spring, fall, and winter fishing. 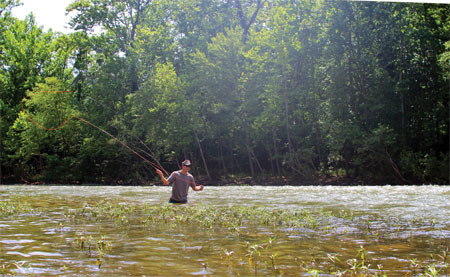 Habitat: Smallmouth bass behave very much like big river brown trout, staying deep during the colder months and coming to the surface once the water temperatures rise, so choose your flies seasonally. Like largemouth bass, they love structure, so target sunken boulders, logs, and other debris, along with riffles, undercut banks, and back eddies. 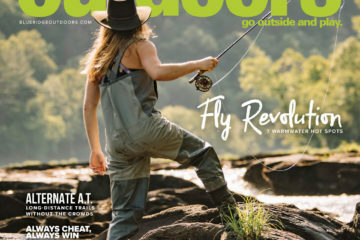 The New River has the distinction of being a world-class smallmouth bass fishery in three states: North Carolina, Virginia, and West Virginia. Once the New gets into Virginia and West Virginia, it turns into trophy water with bigger fish, but with lower numbers. The New is considered one of the top fisheries in the country. 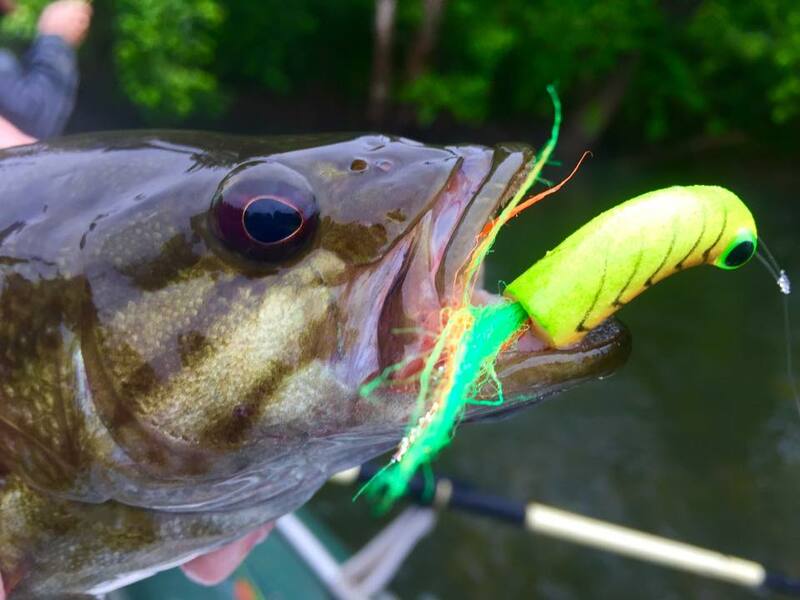 Hot tip: New River smallies love a silent bug on top. Big water equals big fish and the French Broad has them. There are over 40 miles of prime smallmouth habitat on the French Broad as it flows from Brevard, through Asheville, and into Tennessee. This tailwater is a favorite for anglers seeking big brown trout, but it is also a great smallmouth bass fishery, especially during the summer months when the trout get stressed. Watch the dam flows and bring a boat as riverside access is limited. One of the prettiest rivers in the East, if not the country, the Shenandoah has two forks that cut the Shenandoah Valley. This river has had some issues with spawning years past, but is bouncing back. Both the South and North forks are quality “numbers” fisheries, but there are also big fish to be had. The North Fork also holds a healthy habitat of largemouth bass. The Yough is known for its population of brown trout, but it is also a great place to target smallmouth, especially during peak summer. The section just below Casselman River is the most productive.